Welcome to Westworld. Watch this Westworld TV show teaser from HBO. The dystopian western sci-fi drama, inspired by Michael Crichton’s 1973 movie of the same name, is created by Person of Interest‘s Jonathan Nolan and Burn Notice‘s Lisa Joy who are writing and executive producing. J.J. Abrams, Jerry Weintraub and Bryan Burk are also executive producing. Westworld is a dark odyssey about the dawn of artificial consciousness and the future of sin. The Westworld TV series cast includes: Anthony Hopkins, Jeffrey Wright, Thandie Newton, James Marsden, Evan Rachel Wood, Ed Harris, Jimmi Simpson, Shannon Woodward, Miranda Otto, Rodrigo Santoro, Clifton Collins, Jr., Ingrid Bolsø Berdal, Angela Sarafyan, and Simon Quarterman. The 10-episode first season, is slated for an October 2016 premiere. Production on Westworld, season one, took a break in January of this year, to get ahead on the writing. It resumed in early April. What do you think? Did you enjoy the Westworld TV show teaser? 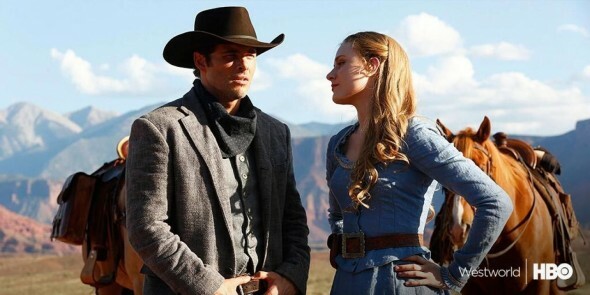 Do you plan to check out the Westworld TV series premiere on HBO?